Attention High School Students: Come to Quo Vadis Days! Join Fr. Steven Roth and our seminarians, and meet with other high school men seeking to grow as courageous followers of Jesus. 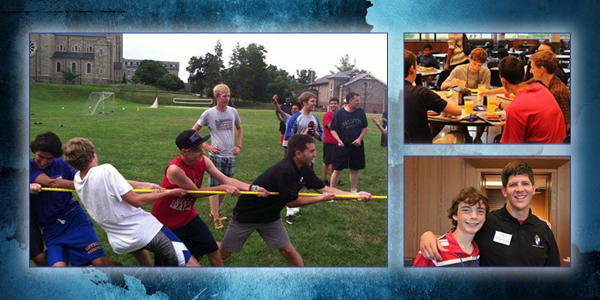 Play hard and pray hard – sports & activities, discussion, vespers with seminarians, and dinner! Registration is FREE but permission slips are required. Register online or call the Vocations Office at 410-547-5426. Note: Each participant under 18 years old must also bring a signed permission form on the day of the event.